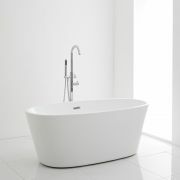 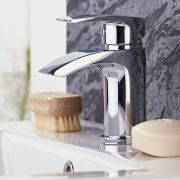 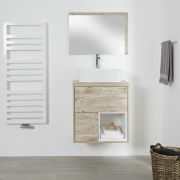 Add smart, modern style to your bathroom with the Milano Bexley 600mm vanity unit and matching WC unit. 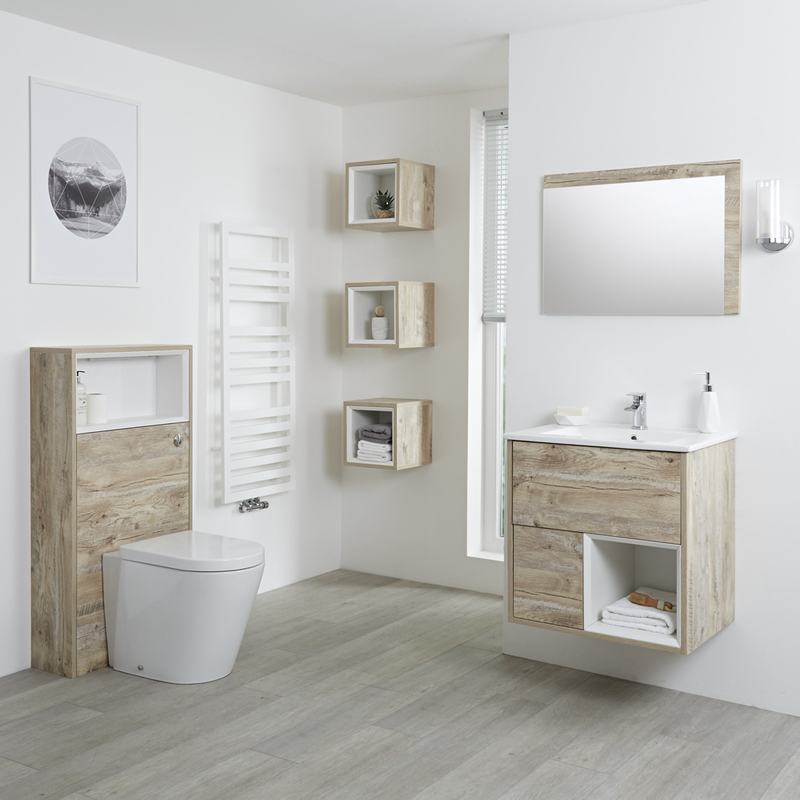 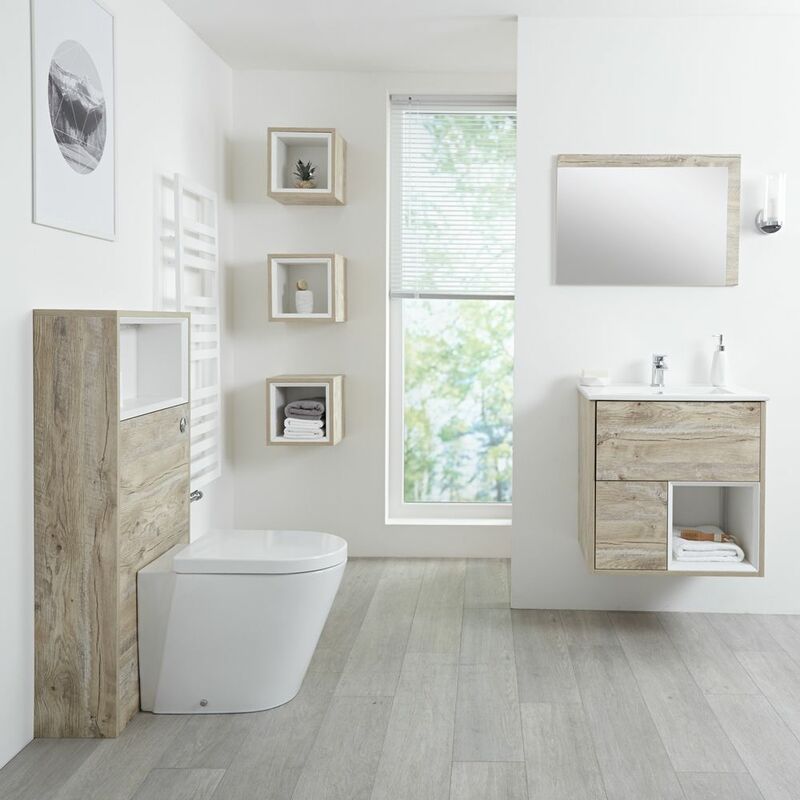 Supplied with the basin, the Bexley wall mounted vanity unit features a light oak woodgrain textured finish and clean lines. 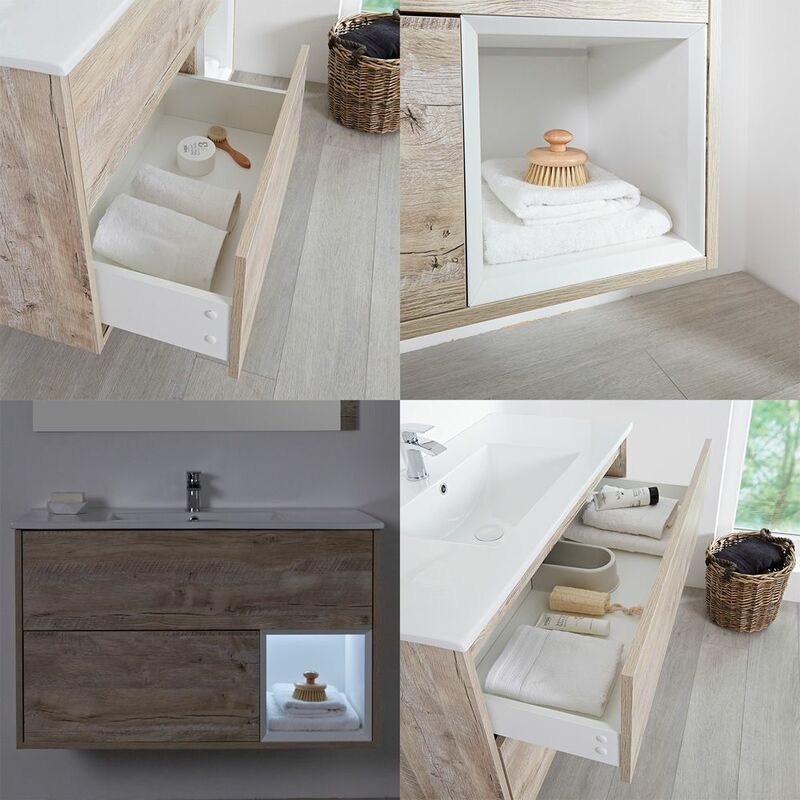 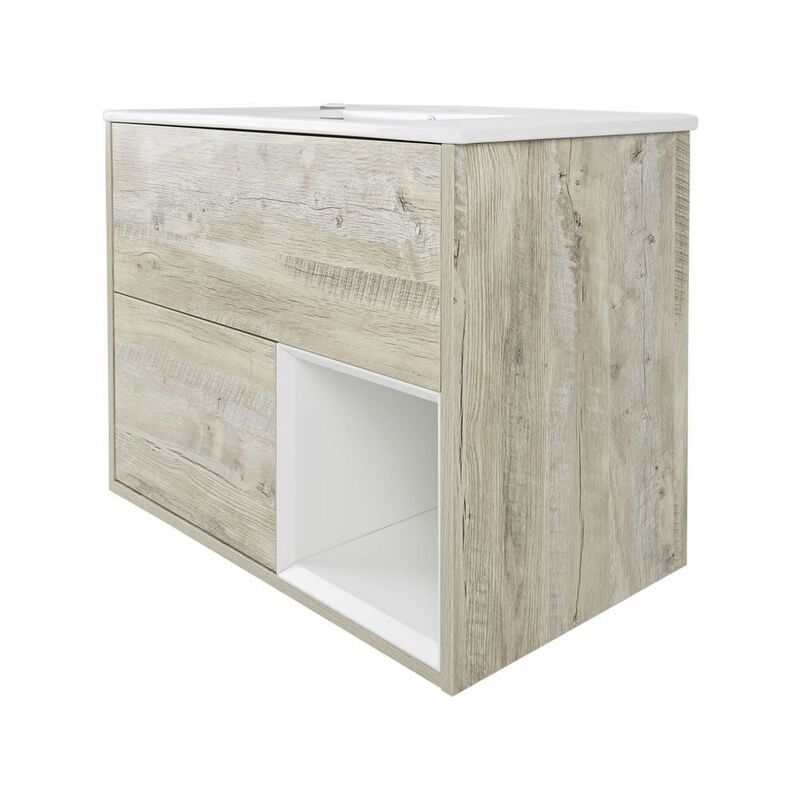 It incorporates two soft close drawers and an open shelf, so there's plenty of storage space for your toiletries and beauty products. 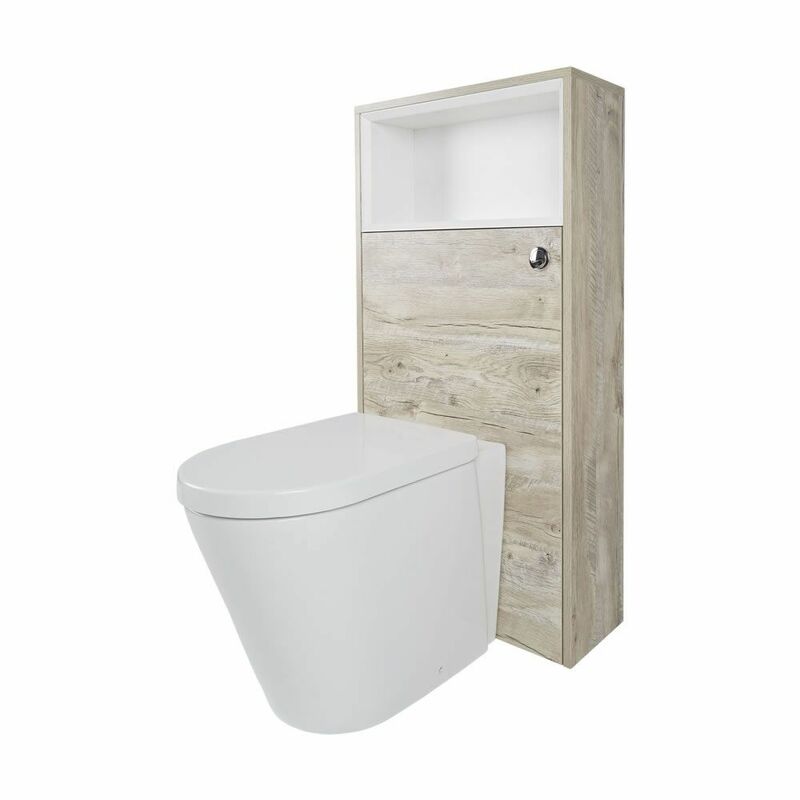 The WC unit includes the back to wall toilet, soft close seat and dual flush cistern. 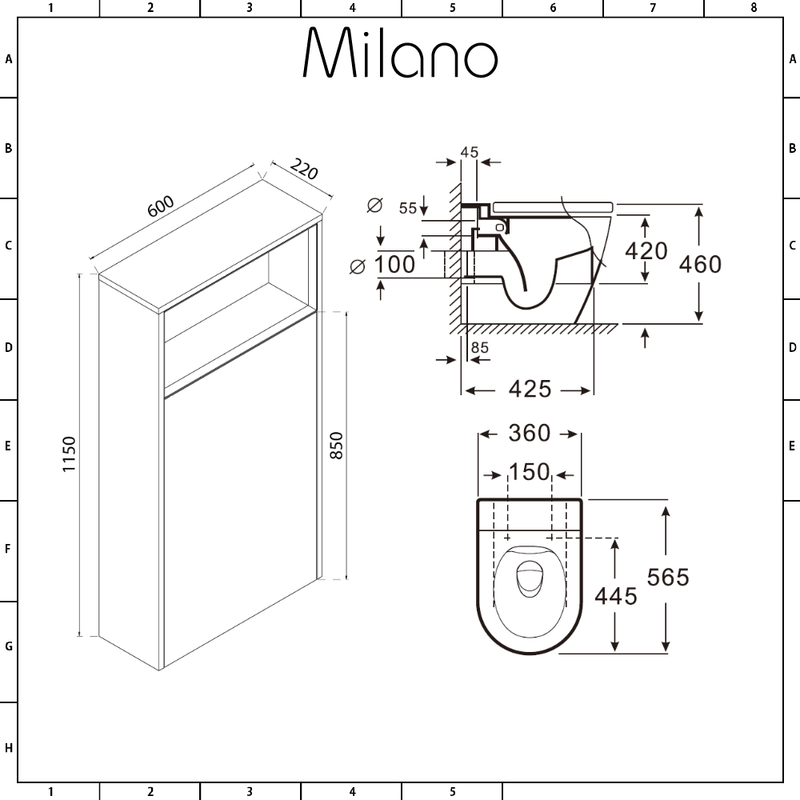 Incorporating a handy shelf, it conceals all the plumbing to ensure a neat and tidy finish. 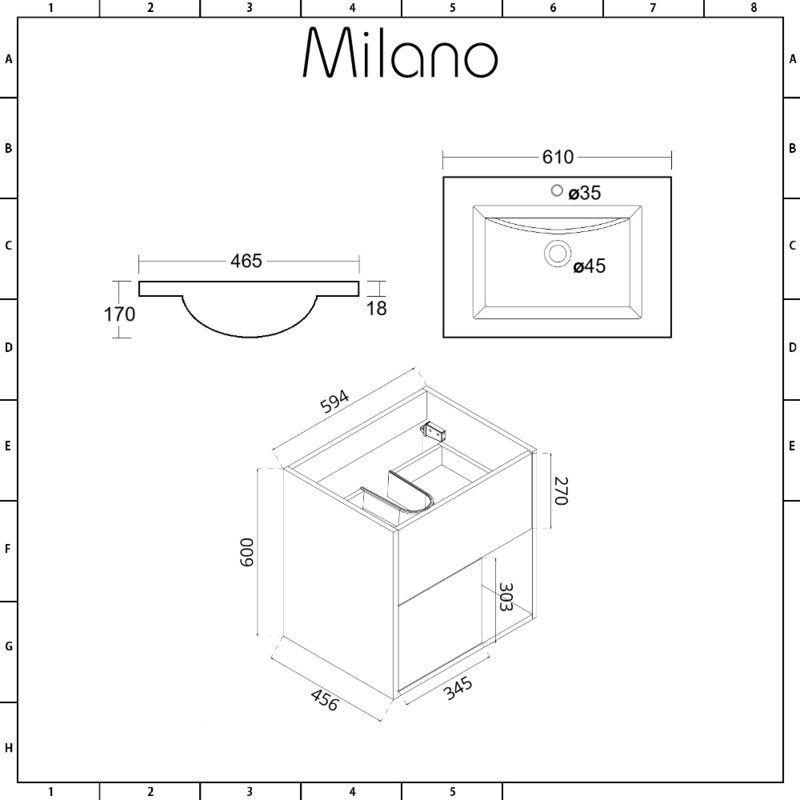 The units are available with and without the option of an LED light. 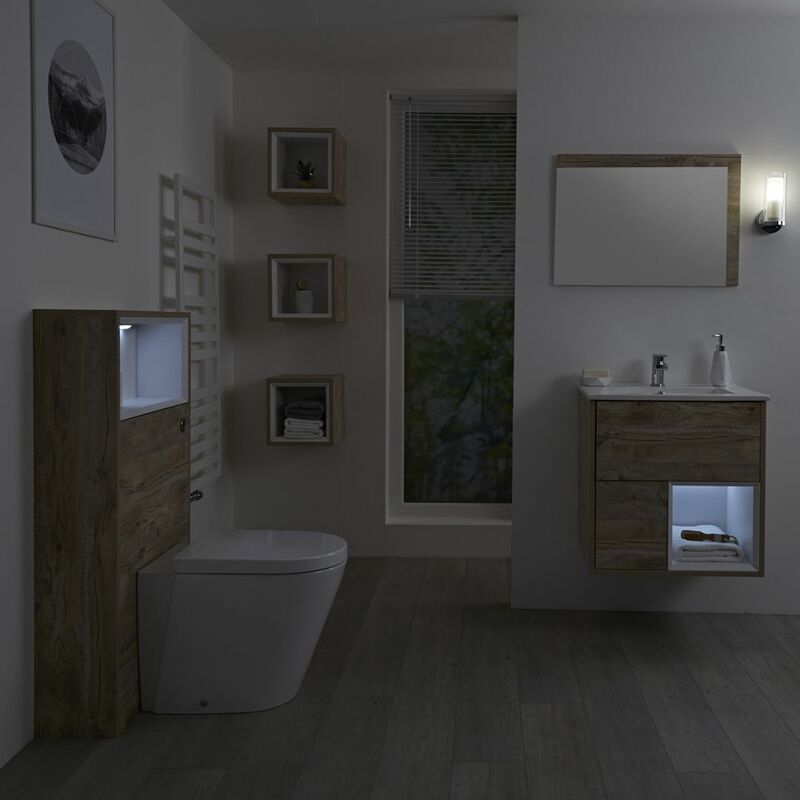 The LED light fits neatly in the open shelf creating a stylish feature and illuminating toiletries or decorative objects.